The host nation France will take on Martin O’Neill’s Republic of Ireland in Lyon on Sunday in a very interesting round of 16 match. 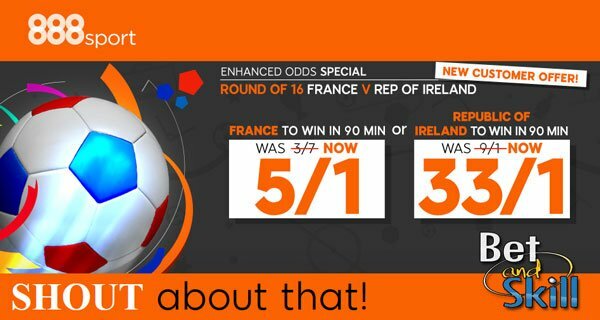 Read here our France v Ireland betting preview with predictions, expert tips, highest odds, expected line-ups, streaming links and no deposit free bets on the Euros! France took care of business in winning Group A with two wins and a scoreless draw, which happened against Switzerland last time out. Prior of that, Les Blues beat 2-1 Romania and 2-0 Albania thanks to two late goals. The French may have eased through Group A, but Dimitri Payet-aside they have been far from convincing. Paul Pogba and Antoine Griezmann's positions in the team have been cast into doubt since the start of the tournament but they should start here but they are both expected to start. Olivier Giroud and Andre-Pierre Gignac are in contention for the starting berth up front but Arsenal's striker is favourite to feature. Ireland were among four best 3rd placed teams that qualified for the knock-out stages. They were poor in the group stages, but turned up when it mattered most to beat a much weakened Italy thanks to a goal from Robbie Brady in the 85th minute. Prior to that, they were hammered 3-0 Belgium while they drew 1-1 against Sweden in their opening game. They are dangerous with set-pieces and long balls and can upset Les Blues too. Martin O'Neill may look to reward those that started last time out meaning that John O'Shea, Glenn Whelan and Wes Hoolahan will be benched and replaced by Shane Duffy, Richard Keogh and Daryl Murphy. Jonathan Walters hasn't featured since the opening group game and remains an injury doubt. France (4-3-3): Lloris – Sagna, Rami, Kolscielny, Evra – Sissoko, Cabaye, Pogba – Payet, Greizmann, Giroud. Ireland (4-4-2): Randolph – Coleman, Duffy, Keogh, Ward – Hendrick, McCarthy, Brady, McClean – Murphy, Long. 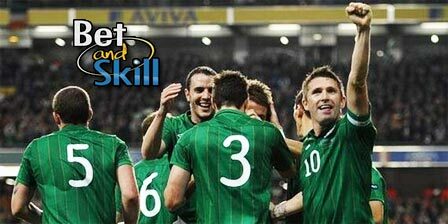 "France v Ireland predictions, betting tips, lineups and odds (Euro 2016 - round of 16 - 26.6.2016)"